Simply put they did everything they said they would do, they met all the timescales they had committed to and established a strong momentum to our recruitment project. He had fully understood our requirements and from this we ended up recruiting a great candidate. I found their approach much more collaborative and thoughtful than many recruiters, I would thoroughly recommend Spencer Edwards as a Financial Services recruitment specialists and look forward to working together again in the future. Every person I have been told “I have to meet” I have offered a role to, I can’t say this for the recruitment consultants I’ve worked with before. Two important roles filled with only two CV's seen. It is the background work that James and his team carry out on both candidates and employers that ensures you meet people with both the required skills and culture fit for your roles. We wont look anywhere else in the future. 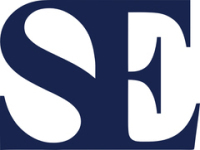 Spencer Edwards is a trading name of Spencer Edwards Associates Ltd.
We specialise in a number of clearly defined niche markets, immersing ourselves in chosen industries to provide unrivalled knowledge and expertise.